At Bude Windows & Conservatories Ltd offer a range of quality glazing services across Bude and surrounding Cornwall and Devon areas. Contact us today to see how we can help you. 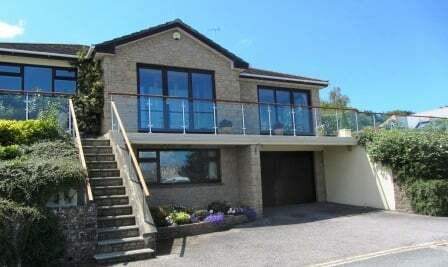 Bude Windows & Conservatories Ltd can offer you a bespoke range of glass balustrading throughout Devon and Cornwall. A balustrade system is a collective term for a row of repeating balusters: posts that support the upper rail. We can also supply and install our seamless balustrade system A balustrade is more often found on stairways, porches, decking and balconies. Bude Windows & Conservatories Ltd can offer you a bespoke range of glass balustrading. Our system allows complete freedom of design on almost any construction project, whilst still achieving a high quality, contemporary appearance. We use only top quality Marine Grade stainless steel and heat soaked toughened glass. Business use or private use, Bude Windows & Conservatories Ltd can accommodate your requirements. For more information or a free, no-obligation estimate contact us today. 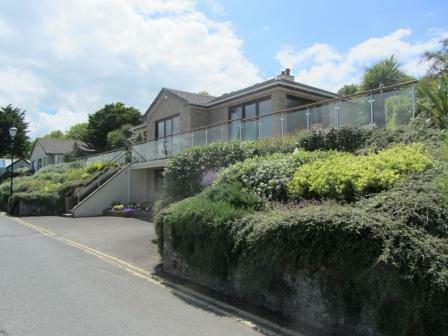 The Bay View Inn, Widemouth Bay which showcases the Pilkington Artic Blue range of balustrade glass. Elements Bistro, Upton, Widemouth Bay, which also showcases our aluminium windows and bi-folding aluminium doors.